Yalgogrin is ~40kms west of West Wyalong on the Mid Western Highway in New South Wales Australia. CJ & WS Hughes hold exploration licences 7587 and 8242 over old gold mining areas that date back to 1893 and we are happy to try and answer any questions. 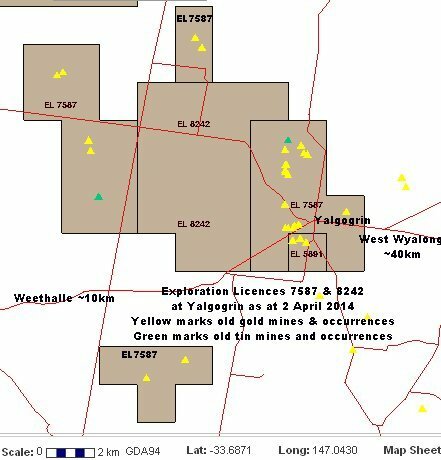 here is a map of our EL’s at Yalgogrin. 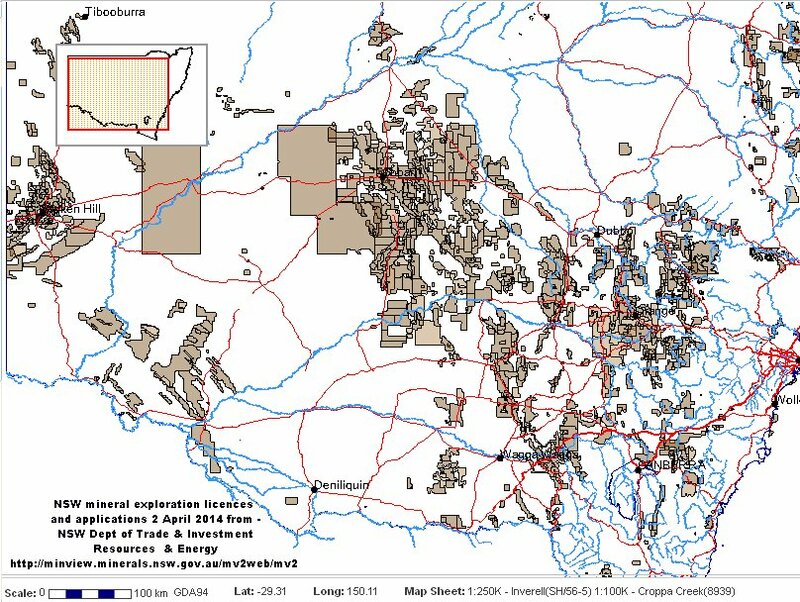 Just to give some Statewide perspective – the next map indicates that mineral exploration is taking place over wide areas of New South Wales.